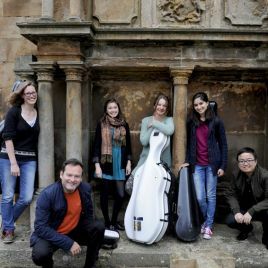 The Elie Ensemble is a sextet of superb young musicians formed at the 2016 East Neuk Festival in Fife, Scotland, under the guidance of, and including, Belcea Quartet violist Krzysztof Chorzelski. FREE tickets are available to 8-25 year olds courtesy of CAVATINA. Choose "CAVATINA Ticket Scheme" when booking. 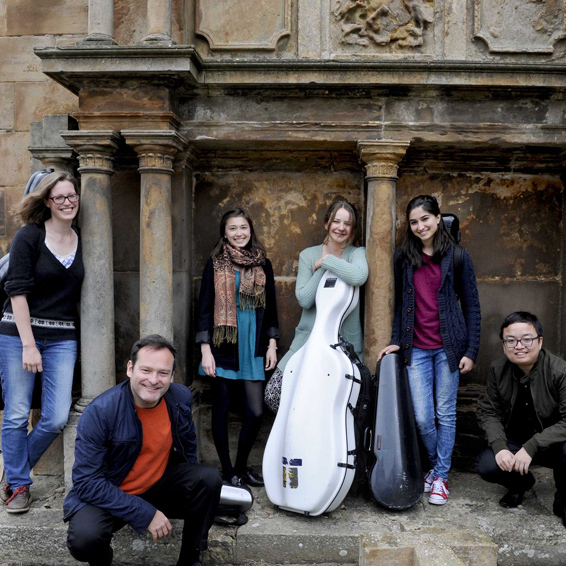 These superb young musicians formed the Elie Ensemble at the 2016 East Neuk Festival in Fife, Scotland, under the guidance of Krzysztof Chorzelski. Krzysztof is violist of the Belcea Quartet and a professor at the Guildhall School of Music and Drama. Savitri (b. 1992) is a current YCAT artist who recently made her debut at Carnegie's Weill Recital Hall and appeared as soloist with the English Chamber Orchestra and Bournemouth Symphony. Tami (b. 1996) won first prize in the 2015 Kuopio Violin Compettion, the top competition in her native Finland. She has performed as soloist with the Finnish Radio Symphony, among many others. Diyang (b. 1994), a native of China, has won many international awards, including first prize in the 2015 Max Rostal Competition in Berlin. Laura (b. 1997) has recently performed as soloist with the BBC Philharmonic and in the inaugural concert of the BBC Proms Australia with the Melbourne Symphony conducted by Sir Andrew Davis. At age 15 she won the BBC Young Musician competition. Abby, Manchester-based , is a member of the Aurea Quartet, prize winners in the Sandor Vegh International String Quartet and St Martin-in-the-Fields competitions.